I really love when my favorite beauty companies collaborate with new movie releases, it usually results in some pretty cool products that really fit in perfectly with the vibe of the film. 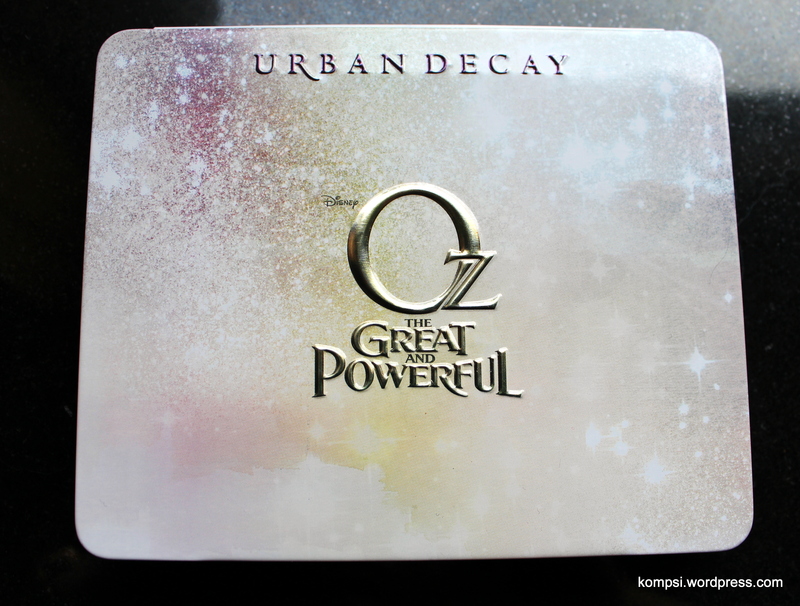 Urban Decay partnered with Disney to come out with two palettes matching the witches featured in the new movie Oz the Great and Powerful. I picked up the Glinda palette a little over a month ago from Ulta. 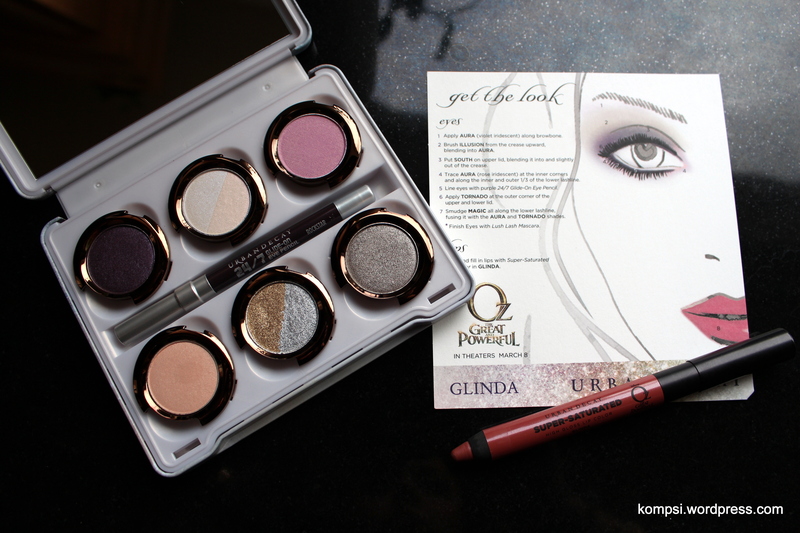 I really liked the colors, especially the deep purple shade and the metallic gold and silver duo pan. For more in-depth review of the colors, check out Temptalia or Makeup & Beauty Blog, they both have lots of pictures and swatches. The purple shadow really sold me, it’s just gorgeous! These palettes use UD’s new eyeshadow formula, which is incredibly soft and buttery with a minimum of fall-out. Even though UD was already a leader in their field of amazing eyeshadows, the new formula really puts them over the top. It’s just so luxuriously soft and pigmented! This is a really fun palette with some amazing colors! Also the movie opens today, so I thought this would be a great time to show off this look. This is not a sponsored post, I just really love this product and wanted to share it!